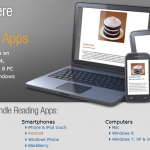 E-books are an increasingly popular option for consuming information. In a forthcoming article, we’ll look at the pros and cons. Today, though, we’ll focus purely on the advantages of e-books. We’ll get straight down to business! In digital form, e-books are never unavailable or out of stock. They don’t go out of print. Simply purchase and download your books from anywhere with a Wi-Fi signal. Once you download your e-book, you can copy it across different devices. You can also use one of many cloud storage options. In other words, it’s almost impossible to lose an e-book. Even if you lose or break your device, you can re-download your book from cloud storage. If you have a substantial library, it takes up a great deal of room. You’ll need at least one bookshelf and possibly many of them depending on the size of your collection. With e-books, you can carry a whole library’s worth on one SD card that can be stored in a mobile device like a cell phone. Traditional books are large and heavy. They require the use of a book bag or cart to move them from place to place. With an SD card or flash media like a USB stick, your whole library is taken care of. Or you can do what we recommend and upload your e-books to a cloud storage option such as Dropbox and forget about physical storage altogether. This is easier and much more efficient than having your desk, room, or book bag cluttered up with traditional texts. E-books can include much more in terms of the type of media involved. If you learn a lot from watching video or hearing speeches or lectures, e-books are a smart choice. It’s easy to sync e-books to audiobooks. Many e-books now have audiobook features inbuilt. This lets you learn and consume information on your commute or as you go about your daily errands. It’s often not practical to read a book but you can slip your headphones on and listen with ease. For visual learners, videos and aids like graphs or charts are another strong benefit offered by eBooks. Functionality extends way beyond plain text. If your goal is simply the retention and absorption of information (instead of just having an impressive roomful of traditional books), e-books can provide this in spades. The ability to search through the whole book or possibly your entire library in seconds. This alone puts e-books in pole position for students and voracious readers in a hurry. How many times have you flipped through a book, looking at every page and spending lots of time just to find one quick answer? This, of course, is a thing of the past if you’re dealing with an electronic book. Search features like this are especially handy for students because they’re usually reading a work many times and backtracking repeatedly to make and create things like outlines and notes from the book. Studying is a more intensive activity than simply browsing through a book in your spare time, and having search features makes completing homework or writing an outline that much easier. It’s also simpler to bookmark pages, highlight important passages and write inside an eBook without damaging it. Electronic books are much more affordable than traditional printed media. This becomes extremely important when you’re talking about people studying at university where most undergraduates spend around a thousand dollars on books. If you sidestep the traditional option and instead decide to download e-books, you’ll need a tablet or laptop but it’s possible to recoup that investment with the money saved buying books. There are subscription-based services that allow you to look at e-books for a limited time at a reduced cost. There are many e-books posted online in their entireties for free. This represents tremendous potential savings for students on limited budgets. Shipping charges for e-books are ultra-low. It costs a company almost nothing to store the text on a server, and downloading an e-book from a server doesn’t cost either party very much money at all. You’re obviously not paying for the paper and the charges associated with using a printing press or the whole bookbinding process either. Yes, of course, you need a tablet or laptop, but these are becoming much cheaper. A computer can cost as little as a hundred dollars used while a new tablet comes in at about the same price. These days storage is almost free. A terabyte hard drive can be purchased for a song so that side of things need not be a concern. Finally, e-books are good for the environment. Not only is there no need for toxic inks and large presses or bookbinding machines, e-books also save energy in non-existsent transportation and packaging costs. You can make an infinite amount of copies of an e-book, and you’re not killing any trees by purchasing one! We trust you’ve enjoyed this look at just some of the huge range of advantages e-books boast over traditional alternatives. Drop us a line any time if you have any questions or feedback. We’re alwys delighted to hear from our readers. Now go and curl up with your favorite e-book! Last updated by David Richardson at February 6, 2018 .